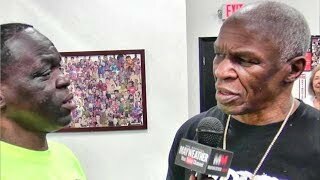 Jeff Mayweather repeatedly gives his brother, Floyd Mayweather Sr. a hard time about getting dropped in the gym recently by Ross Thompson. 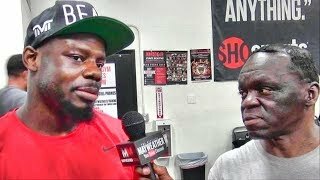 Jeff Mayweather asks some of the guys inside the Mayweather Boxing Club how they plan to spend 4/20 national weed day. 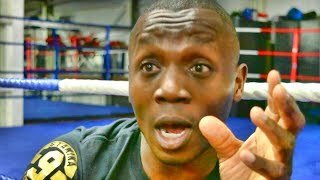 Jeff Mayweather asks some of the guys inside the Mayweather Boxing Club who would win a fight between Claressa Shields and Gennady Golovkin. 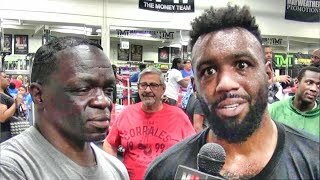 Jeff Mayweather asks some of the guys inside the Mayweather Boxing Club who will win the upcoming fight between Terence Crawford and Amir Khan. 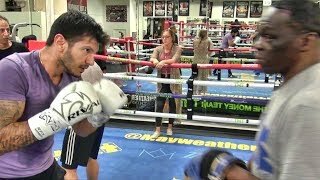 Dr. Juan getting in some work inside the Mayweather Boxing Club with trainer Jeff Mayweather. Danny Garcia and Adrian Granados take part in a conference call to promote their upcoming fight. 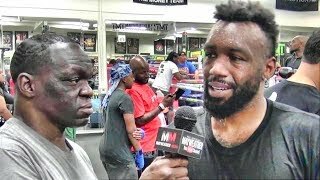 Tunde Ajayi talks about Sergey Kovalev being a much tougher opponent for Andre Ward than he will be for Anthony Yarde. Danny Jacobs takes part in a media day workout as he prepares for his upcoming fight against Canelo Alvarez. 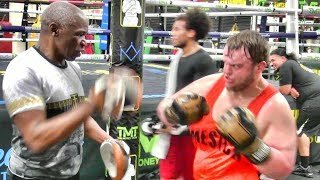 Floyd Mayweather Sr. and Andrew Tabiti show once again that nobody does it better when it comes to padwork. 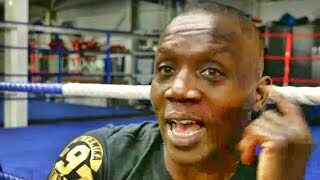 Tunde Ajayi talks with Marc Gatford about his fighter Anthony Yarde's abilities as well as preparation for a clash against Sergey Kovalev. Jeff Mayweather does some padwork with up and comer Ramadan Hiseni who was visiting from Switzerland. 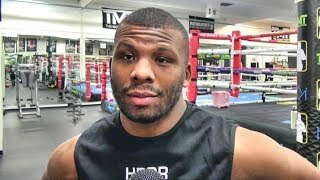 Former world champion Badou Jack will throw his hat in the promotional ring as Badou Jack Promotions makes its debut in Dubai on May 3. Floyd Maywearher Sr. works with a young man visiting the Mayweather Boxing Club from Michigan. Canelo Alvarez takes part in a conference call to promote his upcoming fight against Danny Jacobs. 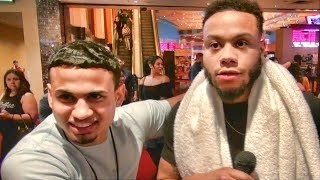 Rolando Romero attempts to interview Kevin Newman following Newman's first round knockout victory. 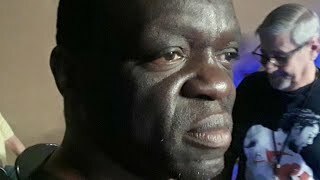 Jeff Mayweather asks for predictions on Canelo vs. Jacobs. 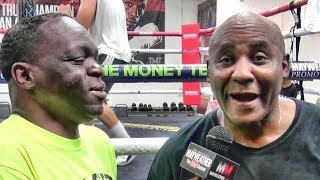 Jeff Mayweather works with a young boxer inside the Mayweather Boxing Club.